Increasing awareness among customers about the adverse impact of conventional plastics, push the demand for bioplastic packaging market. The global bioplastic packaging market is valued at US$ 4,399.7 million in 2017 and is estimated to reach US$ 25,395.8 million by 2025, growing at a CAGR of 24.4% during 2018 to 2025. The major driving factors for bioplastic packaging market are increasing awareness among customers about the adverse impact of conventional plastics, surge in need for sustainable packaging solution, and rising government support for the incorporation of bioplastic in packaging. Today, customers are more aware about the adverse impact of conversional plastic on their lifestyle. Thus, consumers are demanding for more environmentally friendly products which decrease the usage of petroleum and natural gas, thereby, reduce the carbon footprints. bioplastic is an alternative for nearly every conventional plastic material in diverse applications. Bioplastics offer innovative solutions with enhanced properties along with distinctive ability to reduce emissions and provide same qualities and functionalities as that of conventional plastic. Many of the industry players are inclined towards delivering biodegradable packaging solutions owing to the consumer’s rising awareness about the impact of conventional plastic products. The increased use of bioplastic packaging materials are contributing to sustainability and reduce the environmental impact associated with the use of conventional polymers. 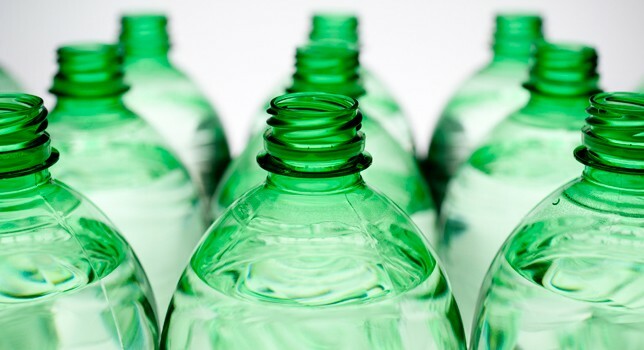 Therefore, revolution in consumer demand on the basis of environmental awareness, packaging lifestyle, convenience, and sustainable production systems is boosting global bioplastic packaging market. Currently, the market players are more focused on finding innovative manufacturing technologies and processes for the formulation of bioplastic packaging materials in order to support biological cycle and to gain competitive pricing platform. For instance, on 14 June 2017, NatureWorks has signed a contract to license chemical processing technology for the production of D-lactic acid. This technology provides the company with low cost route which helped to gain competitive position in this market with cost effective materials. Along with this, there is an emergence of novel bioplastic materials i.e. polyethylene furanoate (PEF) which currently is in its development stage. PEF is expected to significantly use for packaging applications in alcoholic beverages, milk, soft drinks, and fresh tea or water, and other non-food products owing to its superior thermal properties. Thus, emergence novel products and development of innovative processes is expected to provide significant growth opportunity to market players in global bioplastic packaging market. Few of the key players profiled in the report are NatureWorks LLC, Arkema, Novamont S.p.A., BASF SE, Braskem, Corbion N.V., Cardia Bioplastic Packaging, Evonik Industries AG, Koninklijke DSM N.V., and Dow Chemical Company among others.